The goal of Geotechnical and Eco-Industrial Research Center of the Faculty of Engineering is to conduct research in the field of environmental protection, environmental technologies, natural resources, agro-ecology, development of new eco-industrial products, as well as to integrate research results into study process. 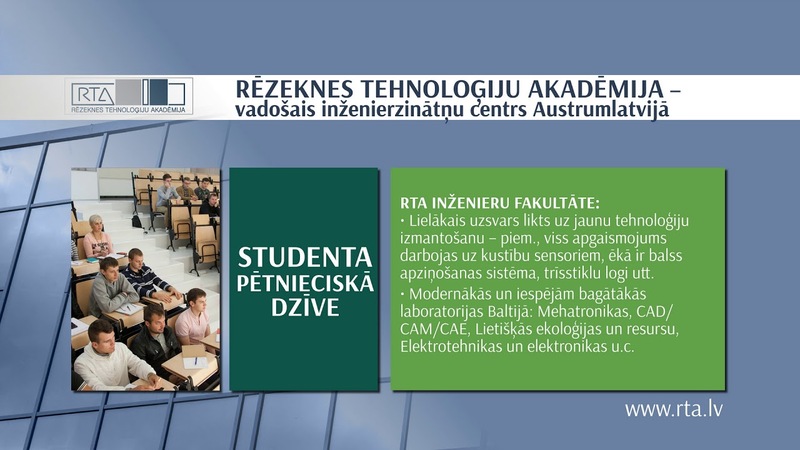 RTA project “Research Grant of Rezekne Academy of Technologies” New Functional Composite Material Obtained from Carbon Fibres and Fibre Plants (project manager J.Prols, duration- 2017). Commercialization of research results and integration into study process and economy.